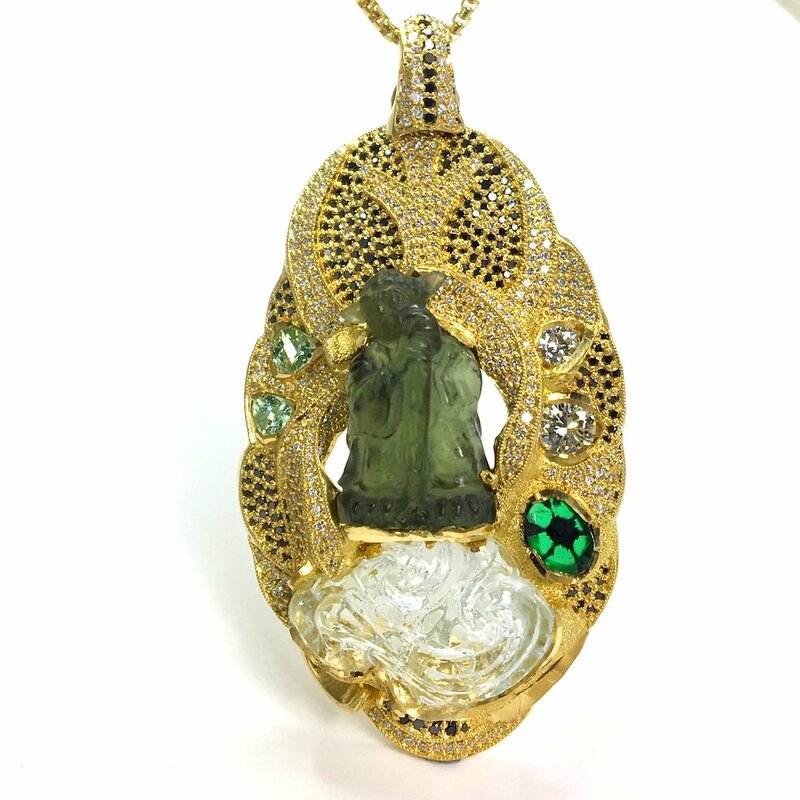 Created for Art Basel Miami this pendant features a carved amethyst with tsavorite garnets, paraiba tourmalines and vs diamonds. This ring features a 2.02ct purple Mozambique garnet surrounded by tsavorite garnets and sprinkled with vs diamonds. 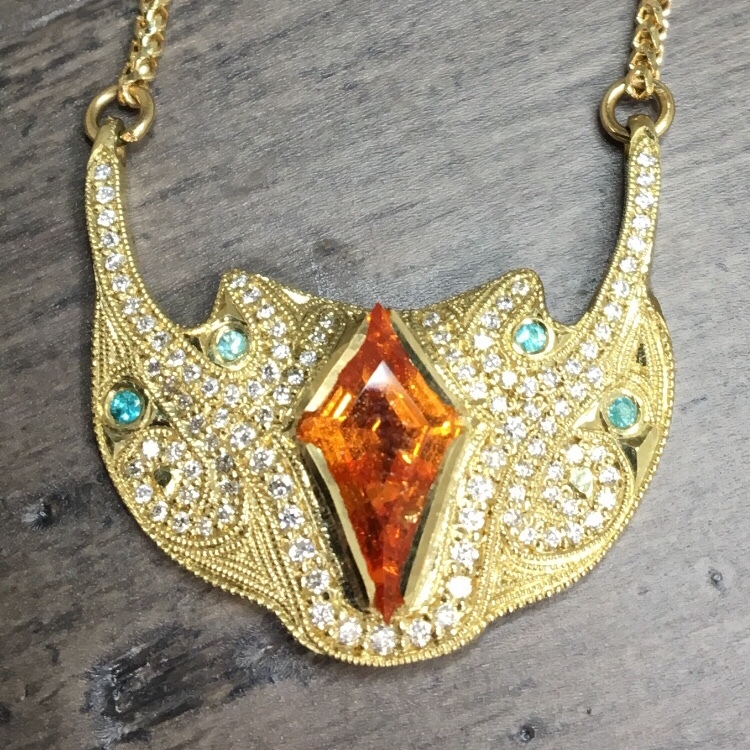 Take a look at recent and past custom design and one of kind items in private collections. Get started on a custom piece .